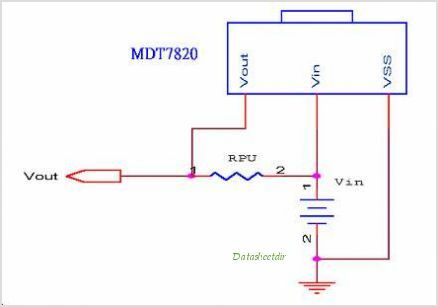 MDT7820 is a voltage detector which CAN generate a low level signal whenever the input voltage (supply voltage) falls below threshold voltage level (2.0v). By Micon Design Technology Co. Ltd. 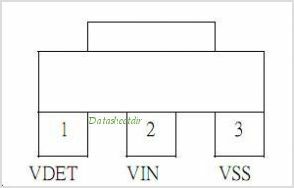 This is one package pinout of MDT7820,If you need more pinouts please download MDT7820's pdf datasheet. This is one application circuit of MDT7820,If you need more circuits,please download MDT7820's pdf datasheet.